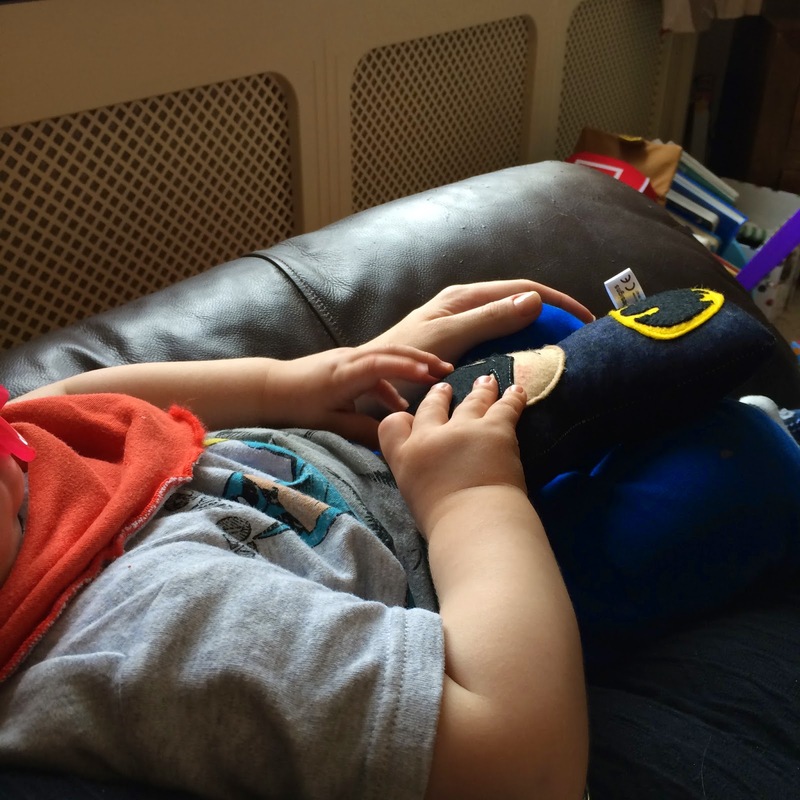 A couple of weeks ago we received some very happy post in the form of a beautiful handmade Batman 'huggie' for little Bert, which had been made by the very talented Leanne over at Lucy Mae Designs on Facebook. 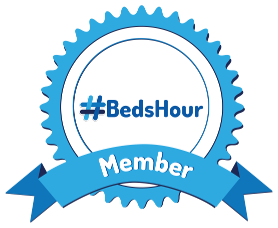 This beautiful handmade huggable little beauty has been personalised with 'Bert' on the back, and is CE certified, meaning it is safe for babies from birth. It's even personalised on the back! Perfect! I love the fact that all of the huggie designs can be personalised, for that extra special touch. The fabric choices available are just stunning, and I truly love their simplicity - somehow, their lack of body features make them even cuter, and draws your attention to their beautiful faces. This was a few minutes after we'd unwrapped him! Bert snuggling his huggie - don't you just love chubby baby hands? 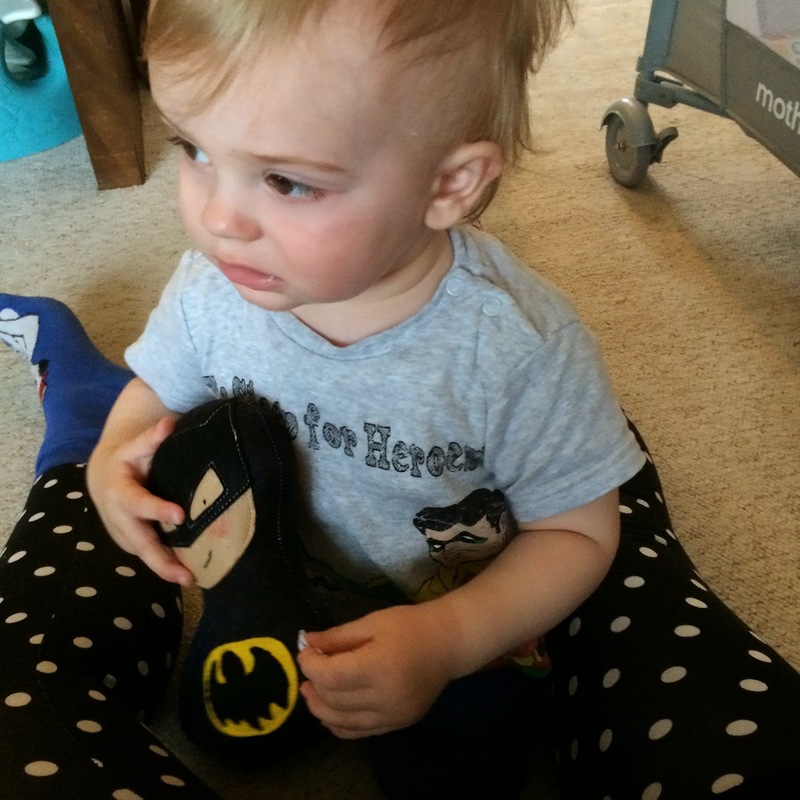 Bert loved his little Batman huggie from the moment he unwrapped him, he is the perfect size for Bert's chubby little hands to hold, and often accompanies Bert on his many adventures around our home (think lots of climbing, making dens with tables, sitting in boxes - you know, the usual boy stuff!). The huggie is robust enough to be energetically played with, but soft enough to still be snuggly and huggable (hence the name!) - the perfect combo! Bert with his perfectly huggable friend! 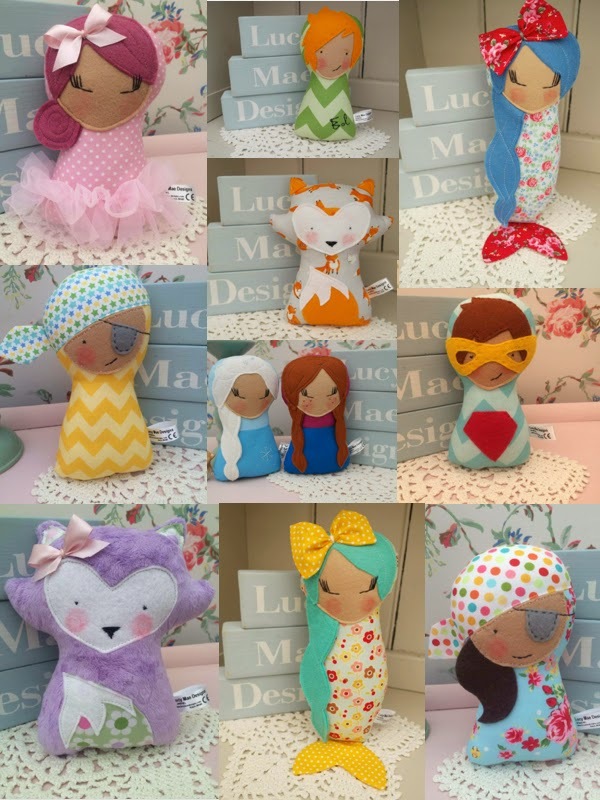 Huggies are priced from £14-£20, but contact Lucy Mae Designs directly for an up-to-date price list, and availability (they are snapped up pretty quickly!) Our Batman was priced at £15, and is genuinely worth every penny. In fact, I'm already wondering who I can buy one for this Christmas! Lucy Mae designs is holding a market night this Friday 3rd October from 8.30pm, so get yourself over to their Facebook page to see what lovelies they have available to purchase on the night. Our 'huggie' Batman fits right in at our house! 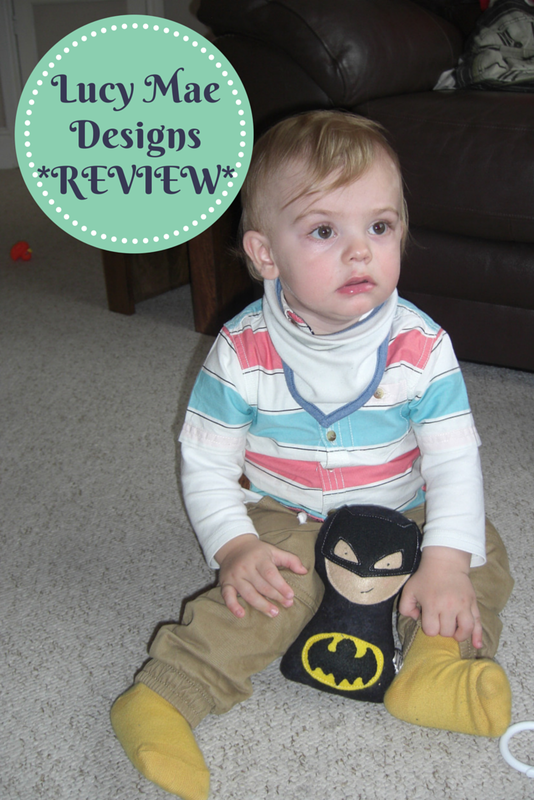 Disclaimer: We were sent a Batman huggie for the purpose of this review, but, as always, all opinions and words are my own.